This season, like many before it, Birkenstock is back in high-demand and their styles are quickly becoming a summer wardrobe staple and suitcase essential. A bold statement, but with a strong following consisting of celebrities, a-listers and the fashion elite alike, now is the perfect time for you to join the movement (just as the new season collection has dropped; lucky you). This year, Birkenstock have taken a step out of their comfort zone in a bid to make their uber-cool styles even more fashion-forward. Normally seen in neutral, versatile shades of brown, black and navy (the crowd-pleasers), this season’s range calls on pastels, snake-print and metallic finishes to create the on-trend SS17 range. The Shiny Snake collection is perfect for summer as the bold print is sure to add some flair to those light summer outfits. It will even give you that summer feeling as the high-shine iridescent finish glistens in the sun for some extra style points. While perfectly paired with casual beach or boardwalk attire, this Birkenstock upgrade allows the classic sandals to be dressed up too. Those elegant long nights at garden parties and rooftop bars can be spent in comfort and style as you pair your glam and glitzy profiles with long flowing dresses or chic cropped culottes. Add some galactic inspiration into your everyday and blast your style into this season and beyond. A must-have finish this S/S, metallics are everywhere, but none come close to the sheer flair of these beauties. 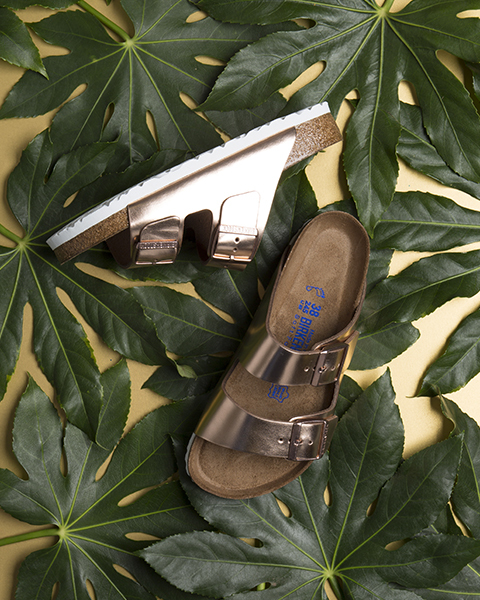 High-shine for high impact, Birkenstock do not let you down. You can take your off-duty summer wardrobe to the next level in the glamorous rose gold Arizona for high fashion impact. Although a popular colour, Birkenstock haven’t stopped there so keep your eyes peeled for a regal pewter metallic landing soon. Adding a trendy edge to this casual brand, Birkenstock add soft premium suede to their S/S offering. Drawing on fresh summer trends, the muted/pastel colourways will soon be influencing your whole wardrobe. These in-demand sandals will add that soft edge to sweet summer outfits or enhance any dapper styles with a premium feel. With versatile stone and grey profiles already landed for him, he can adopt the relaxed Arizona style now but don’t fret; pastel pink and soft grey feminine styles will land just in time for your summer getaway. His and hers holiday style sorted. 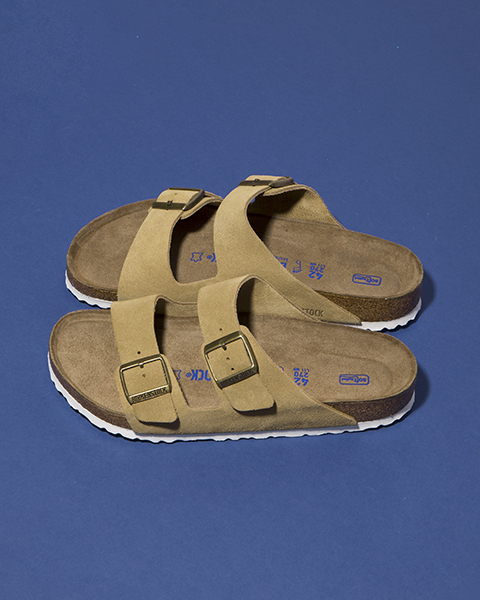 Classic and carefree, Birkenstocks are a summer must have. Whether you’re looking for the more traditional aesthetic or we have tempted you with the fresh upbeat summer styles, browse or full range before you make your mind up and keep your eyes peeled for fresh additions landing sooner than you might think.